The following morning Tim and Claire were ‘working from home’ (I’m still not convinced either of them actually work!) so they said they’d cycle with us for a bit. 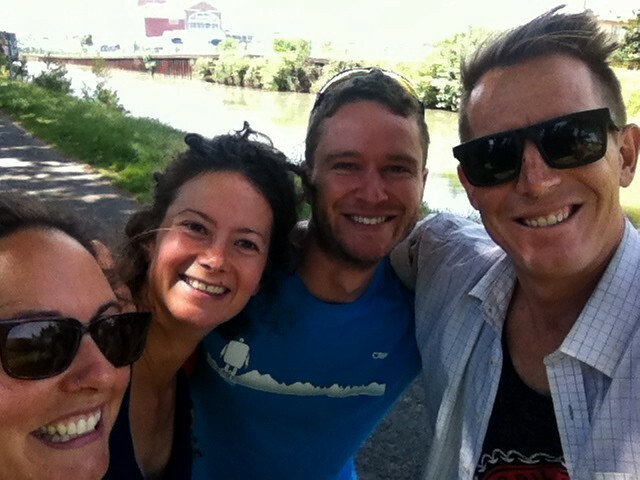 The Pamir mountains, the deserts of Uzbekistan and now, the canals of Toulouse, the old team, back together again for one more ride. 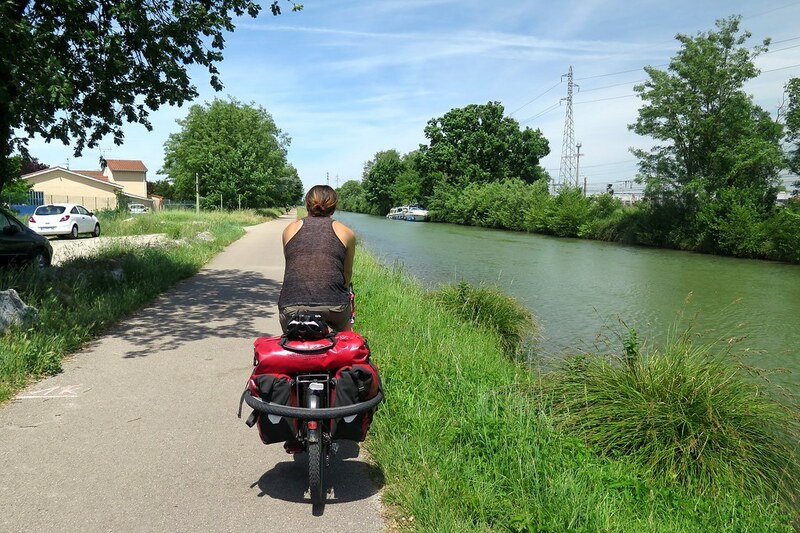 It was a short one this time though, 5km out to the Canal Lateral de la Garonne where they turned back, leaving us to cycle on alone. Again, Tim and Claire if you read this, instead of just looking at the pictures, thank you so much for having us, you guys are the best. 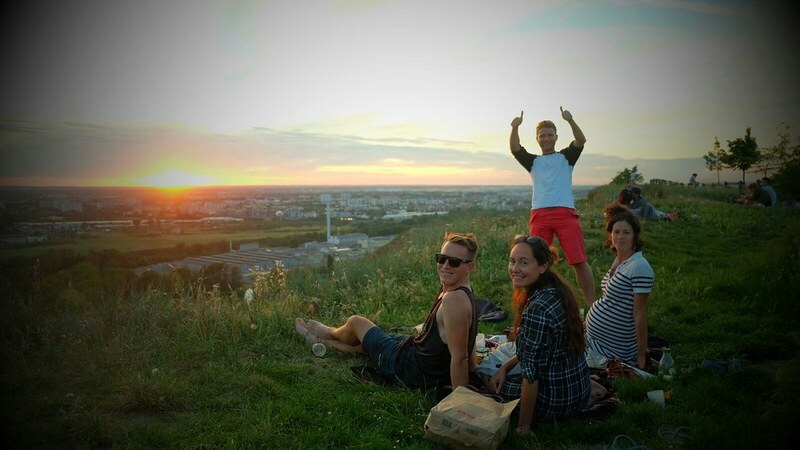 We can’t wait to see you again in Biarritz or at the Seven Sisters trail run. For the rest of the afternoon, and indeed the rest of the week, we followed the canal. The sun was shining initially and we cycled fairly slowly. 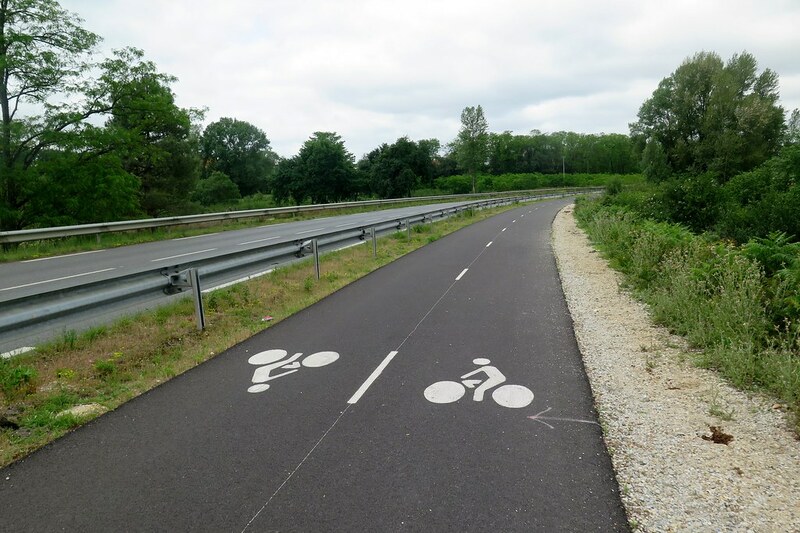 The cycle paths are all well paved and flat, meaning we always seem to ride at a relaxed pace. Not much happened for the rest of the day, apart from nearly hitting a baby hedgehog that was walking around in the middle of the path. I don’t know if picking it up was a good thing to do, but we didn’t want it to get squished by a bike, so I moved it back into the long grass beside the path. Soon after, we were heading off the path ourselves to pitch the tent in some trees. 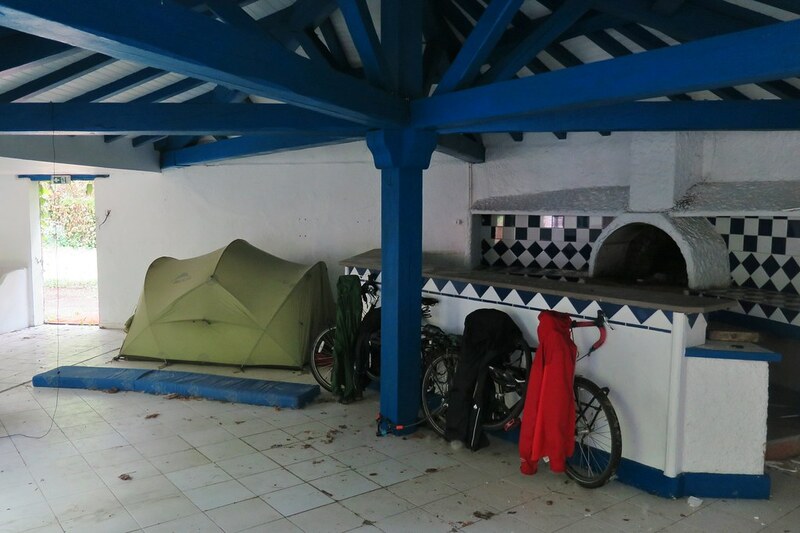 Camping has still been pretty easy, the route often runs through forests or farmland, giving us plenty of options to find hidden places to sleep. Once we’d set up and had some dinner, rain started falling on the tent, and we fell asleep hoping it would stop by the morning. It didn’t. We had rain for the next couple of days, dampening our spirits a bit. Thinking back, we’ve been really quite lucky with weather and I suppose that’s made us fairweather cyclists. Other than early on in China, then Azerbaijan, we haven’t had to cycle in the rain that much so we’ve been a bit spoilt. We got on with it though, riding short stretches between sheltering from the heavier downpours. With the route following the canal, there were usually bridges to hide under when we needed to. 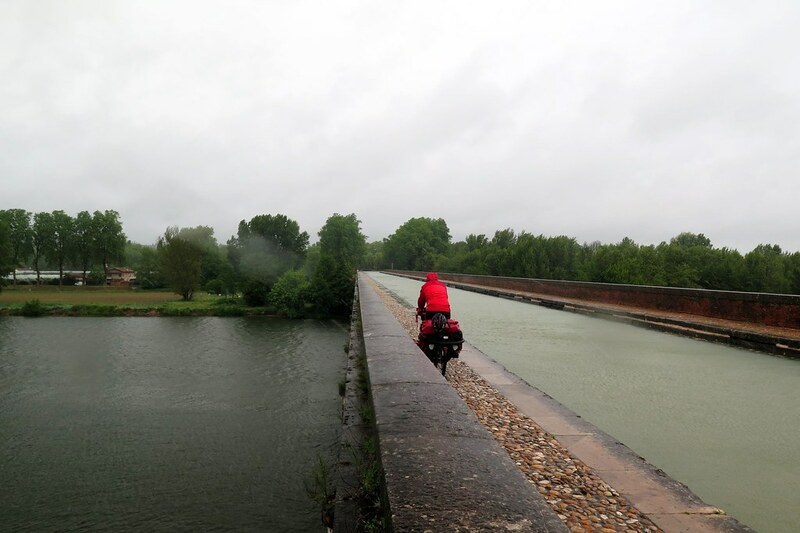 There were even bridges, or aquaducts, which took the canal over the Garonne. Impressive engineering, and one of the few things we took photos of. On the second, particularly rainy night we found a burnt out and boarded up restaurant. Half of it was untouched by the fire, so we slipped through the barriers and had a dry night with a roof over our heads. 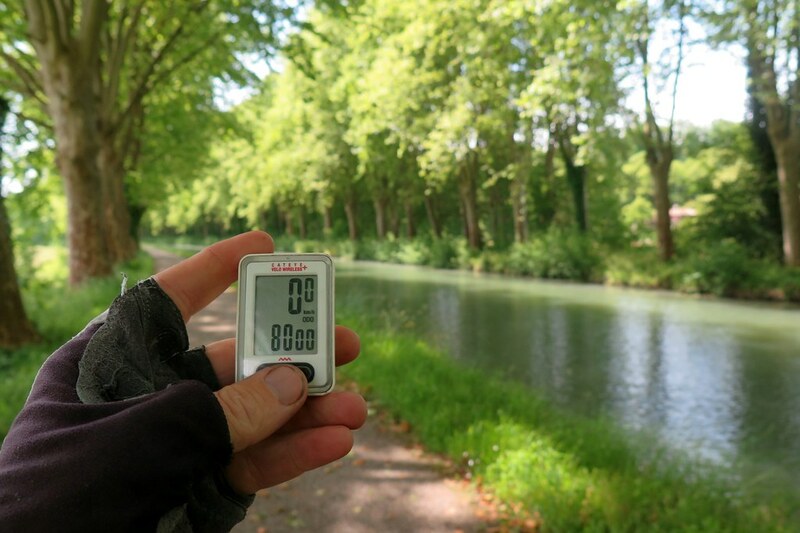 It was all easy cycling, but challenging on the morale – sleeping in burnt out buildings and eating lunch under a bridge next to the canal isn’t quite the image of La Belle France we had in mind. 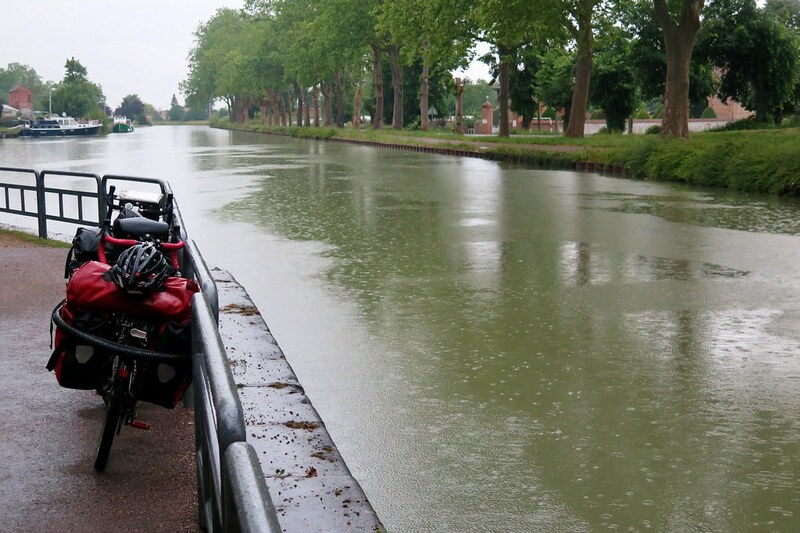 Once we got past Agen, towards Marmande the weather started improving. 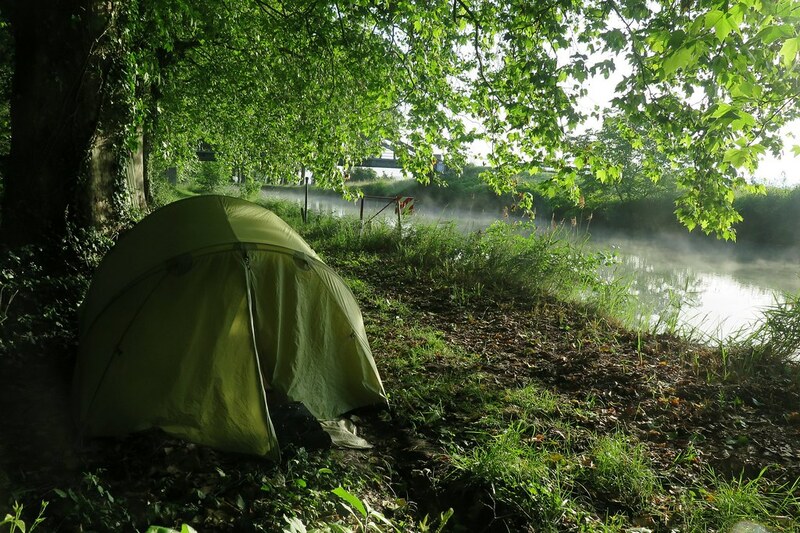 We woke up one morning with a warm glow outside the tent. The sky was blue for a change and steam was rising from the canal as the sun started to hit it. We started riding with our waterproofs on, partly out of habit, but more to dry them off. We soon were too warm, and we were back to riding in shorts and vest tops. Much better. We hit 22,000km later that day, so a photo of the speedo and an excuse for a tea break in the sunshine (like we need an excuse). 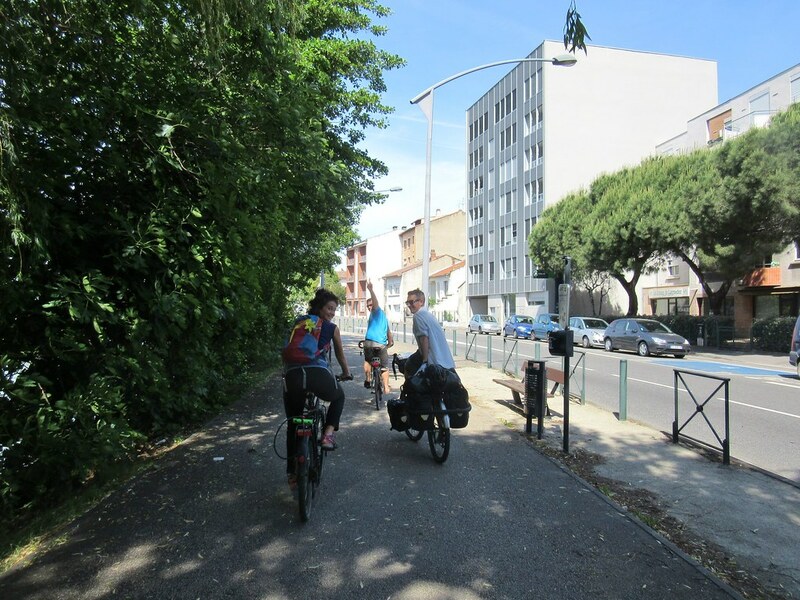 At La Reole, we left the safety of the cycle path to venture out onto the actual real road, scary. Helmets on for the first time in a while, ready to face the traffic. This was just a short stretch up towards Sauveterre de Guyenne where we’d pick up another cycle route, the Roger Lapebie path which runs right in to the centre of Bordeaux. And there wasn’t really any traffic, we were on quiet farm roads running through the vineyards that this region is so famous for. There were a few rolling hills, something we haven’t faced for a while. Nothing too taxing though, with some nice long downhills as a reward. 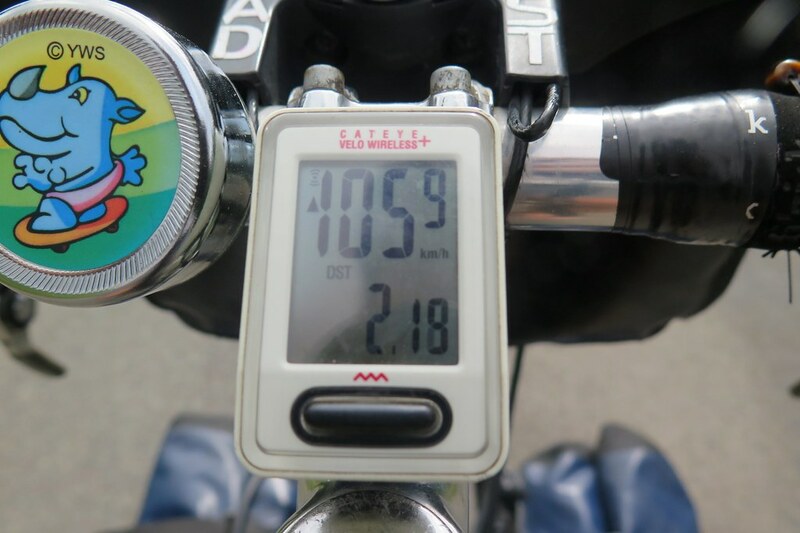 At one point, I looked down at my speedo and was surprised to see it reading 105km/h. Hmmm, don’t think that can be right. I pulled out the battery and it seemed to be working fine after that, but it frustratingly meant the overall distance was reset. 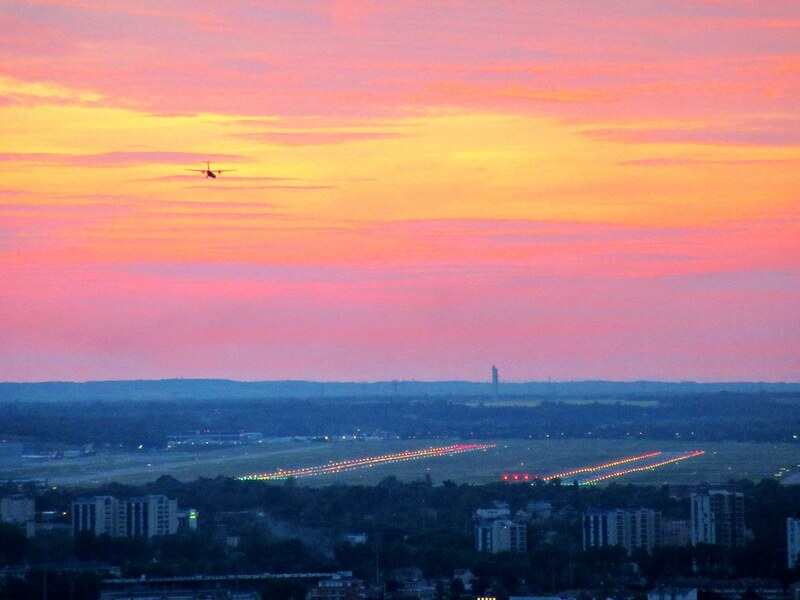 So now we’ll need to add 22,030km to all future distance readings. 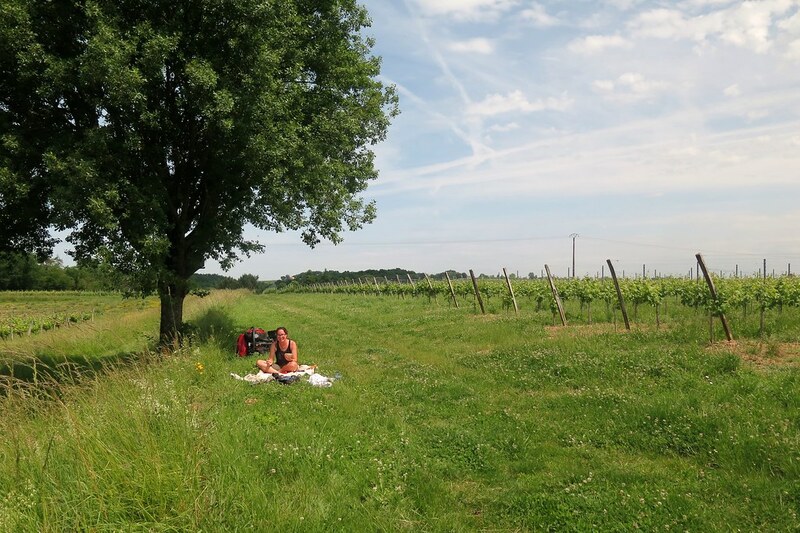 We camped near Creon, then the next day rode in to Bordeaux. 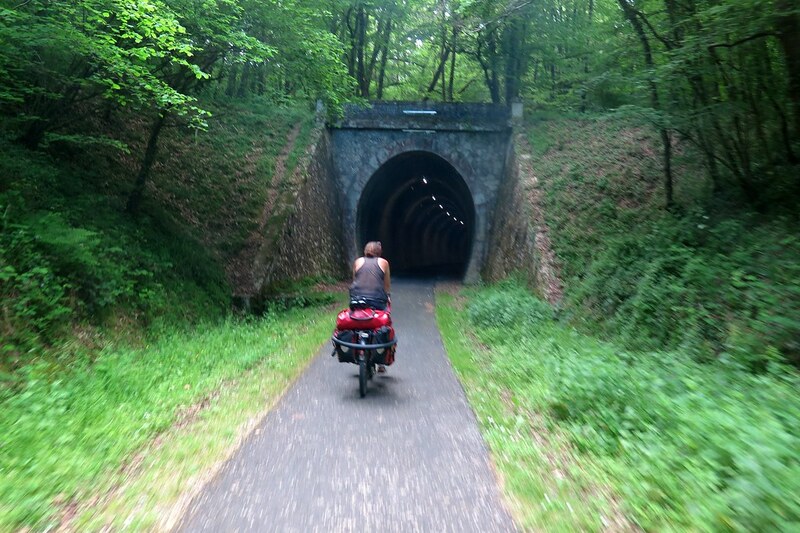 The Roger Lapebie path follows an old railway line, through a few well lit tunnels on perfect tarmac all the way. 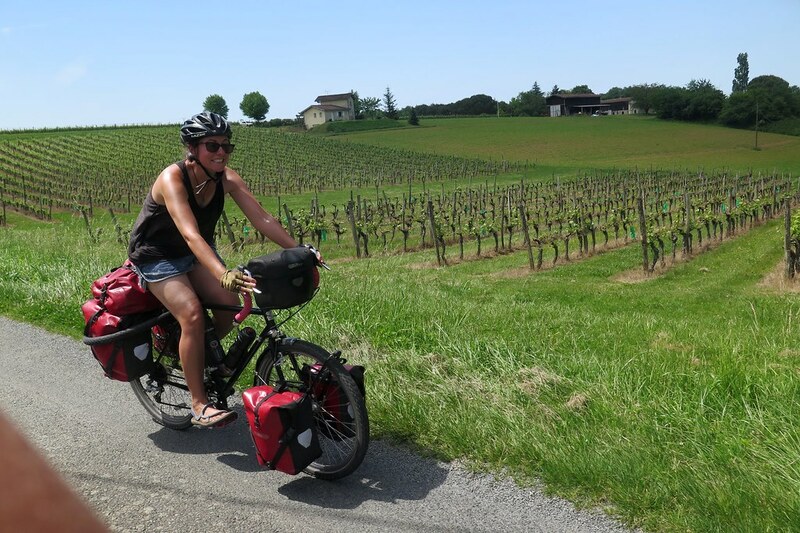 More easy cycling, reaching the Garonne then following its right bank past large chateaux and vineyards. 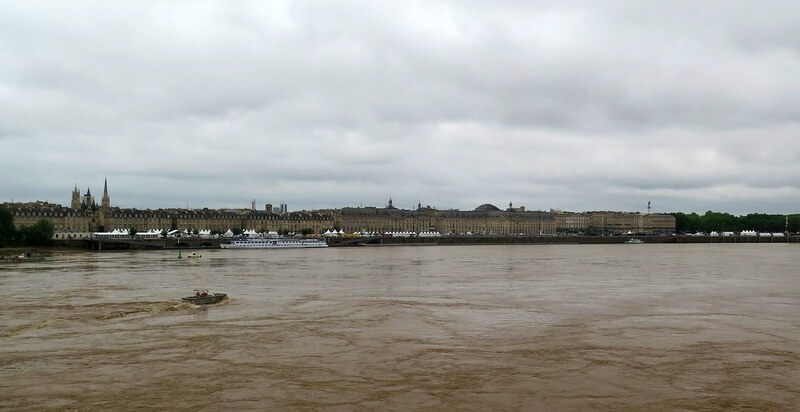 Unfortunately the sky was grey again, so once we reached the city, it didn’t look its best with the muddy river in the foreground. The cycling infrastructure around here is really well developed. We were able to get into the city centre and through the other side without having to ride on the roads for more than a few hundred metres. Several different bike routes intersect here, and we saw signs for Eurovelo routes that go down to Spain and even up as far as Norway! We follow signs to Lacanau, which is a little closer, only 50km away, towards the coast. 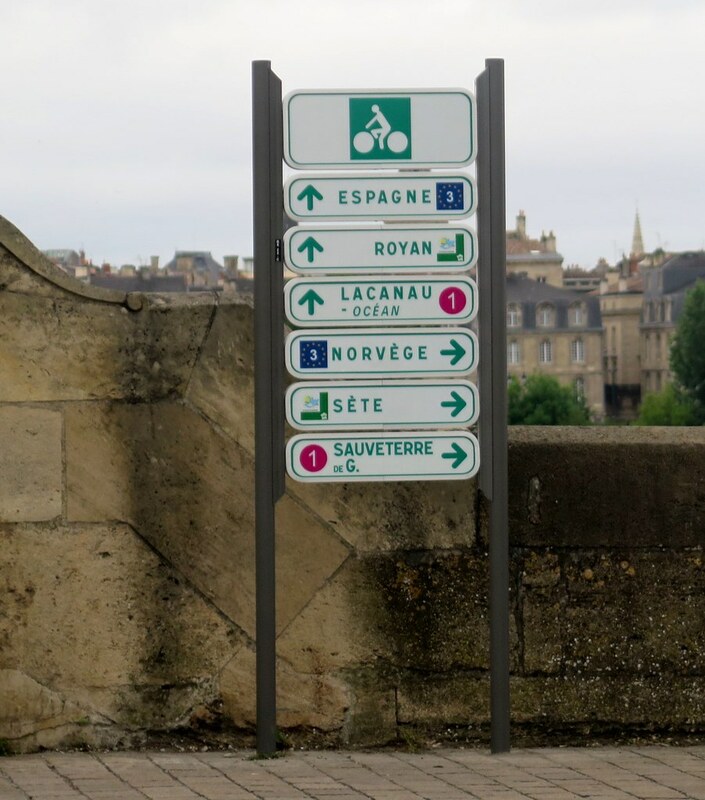 We didn’t see much of Bordeaux, just a ride through the centre and a tea break next to the river before continuing west on yet another perfectly paved cycle route. We get as far as St Medard en Jalles where we’ll pause for a day off the bikes. Then it’s onwards to the coast, and hopefully some sunny days riding along next to the beach. I did not just looked at the pics… It made me emotional again. Probably the hormones!!! 😉 It was so great to have you here!! 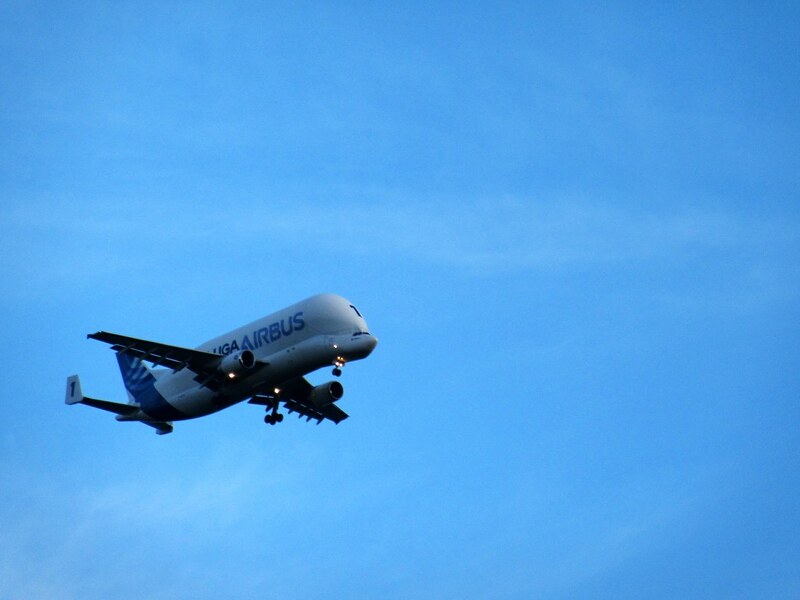 I am looking forward to the next trip in one direction or the other!! Great news about the job Andy, I bet your dad is pleased !! 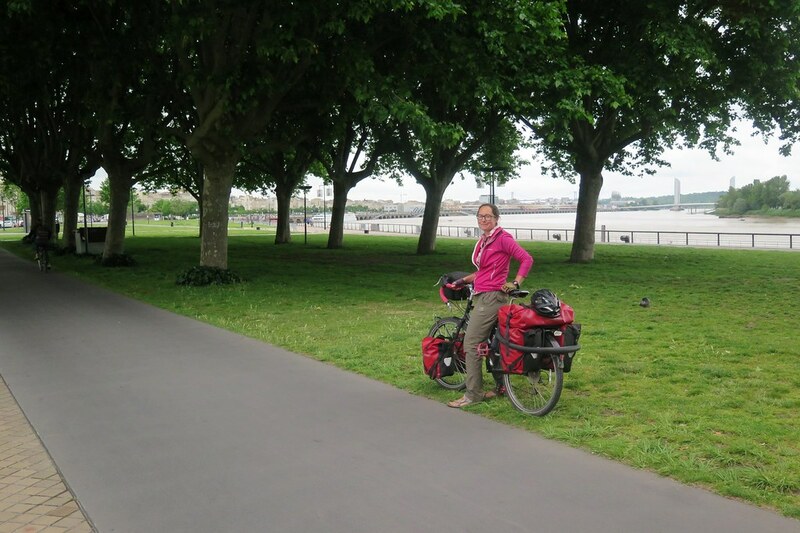 Great to see you cycling some of the same paths we used on our mini-adventure, all be it in the opposite direction. 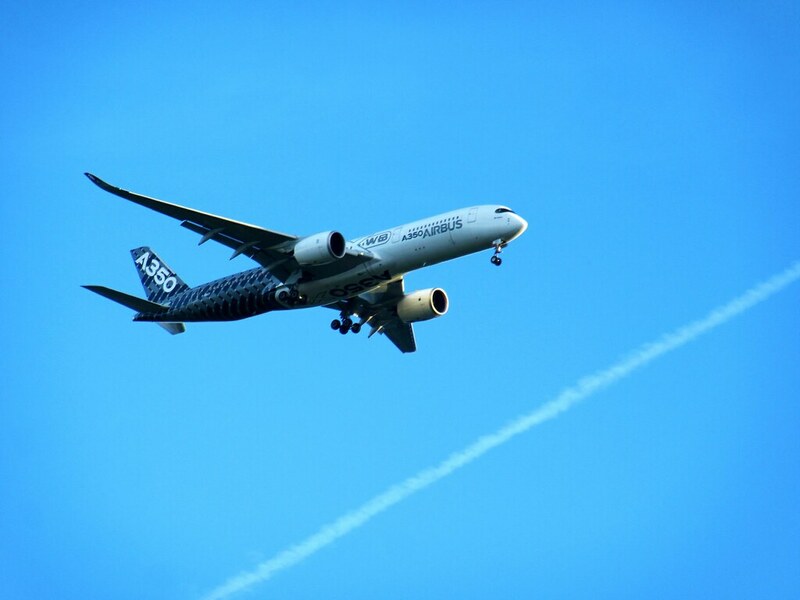 Congratulations on the new job and enjoy your last few weeks…. 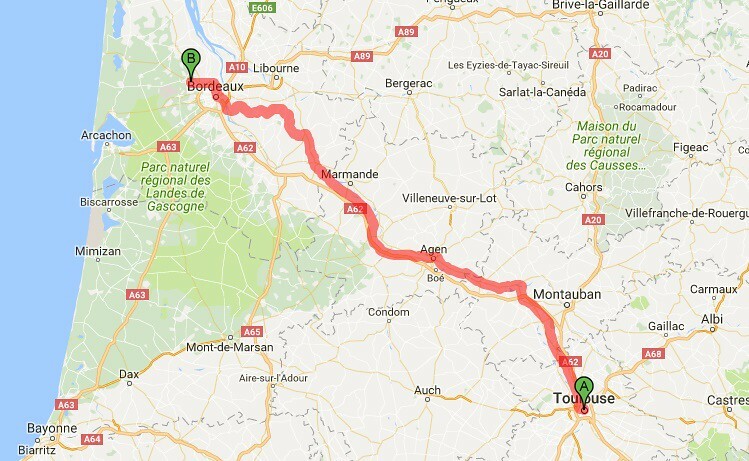 Nice to overlap with your route a little bit! I just looked back through your posts for that section and definitely recognise a lot of the photos. Great to hear from you. Come and stay in Bath if you’re ever in the West. We are thinking of joint warm showers anyway thanks to you. Enjoy your homecoming!! Would definitely recommend Warmshowers. We’ve hosted and been hosted by some really interesting and wonderful people, many of whom we’ve seen again and are now firm friends. The same goes if you’re ever on the Sussex coast! It’d be great to meet you.